Olive oil has been a natural health and beauty choice globally since time immemorial. Its multiple benefits swayed women and men all over to use it in their daily beauty regimes, apart from using it in cooking and salad dressings. Indian Bollywood actress Chitrangada Singh is known for her flawless skin and lustrous hair and she is an ambassador for an olive oil brand. Italian born Hollywood legend Sophia Loren, who is 79-years-old, maintains her age-defying good looks with regular olive oil baths. So, if looking beautiful and feeling healthy inside out is what you want, a little olive oil on your face and body is what you need! 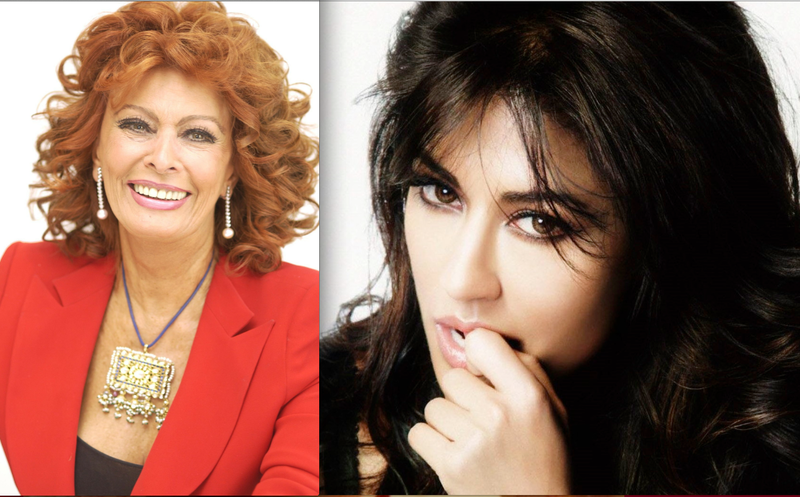 Legendary Hollywood actress Sophia Loren and Indian Bollywood beauty, Chitrangada Singh. CHAPPED LIPS AND UNDER EYE WRINKLES: Forget lip balms and under-eye creams and swap them with olive oil instead. This will get rid of chapped lips and reduce under-eye wrinkles. Rub a little bit of oil on your lips and leave it overnight. To reduce the wrinkles around your eyes, massage olive oil into the skin around your eyes. Make sure that you are very careful and apply it delicately around the eyes. DRY SKIN and SUNBURN: For people with extremely dry skin, using virgin olive oil as a night cream can help moisturize it. Apply a little oil on your face at night and let it stay overnight. Your skin will feel soft and supple in the morning. The regenerative power of olive oil also helps in stimulating the process of skin healing. It can be used to soothe and heal skin irritations. The same property also helps in treating sunburn. Just apply olive oil on the affected area directly. STRETCH MARKS: Say goodbye to those dreadful stretch marks on your body with olive oil. Olive oil helps the skin regenerate and increases the elasticity of the skin. This not only helps in preventing stretch marks from coming back but also helps in lightening the ones that are present. Start using olive oil for hot oil massage on the affected areas thrice a week and see the difference. MAKE UP REMOVER: Remove makeup the natural way with olive oil. You don’t need to spend big bucks on buying fancy makeup removers. All you need is a bottle of olive oil. Olive oil will not sting your eyes and is not harsh on the skin, especially for people with sensitive skin. ANTI-AGING: The antioxidants present in olive oil, hydroxytyrosol, along with the vitamin E, help in preventing cell degeneration in your skin, thus preventing premature aging. The squalene present in this oil helps in increasing the elasticity of the skin thus preventing sagging of skin and leaving it firm and toned with a youthful glow. EXFOLIANT: If you are have very dry and flaky skin, mix olive oil and sea salt and massage it into the affected area to slough off dead skin and enrich the healthy layer beneath it. 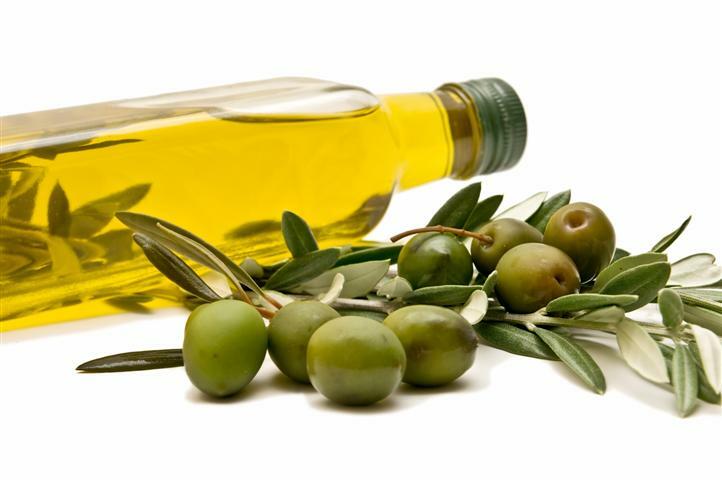 SUNSCREEN: Olive oil not only helps in treating sunburns, it also works very well as a sunscreen. Mix equal quantities of olive oil and tea decoction (tea boiled in water and strained) and apply all over the body and face. Leave this on for an hour. Rinse, don’t wash, so that it leaves a residue on the skin. This will act as a natural sunscreen for your skin. MASCARA: People with sensitive eyes and allergies to cosmetics around the eyes can’t use mascara but that is no reason to not have long, fluttering eyelashes. Just use an old mascara brush and apply olive oil on your lashes with it. This will result in longer and shinier eyelashes, without any side effects. HAIR GROWTH AND SHINE: Olive oil when heated, provides deep conditioning for hair, that leads to a healthier scalp and more hair on your head. Olive oil, as part of a regular hair care regimen, can help your hair and scalp reach their healthiest potential. Make olive oil for hair growth a regular priority in your hair care and see it bounce and shine. Categories: Beauty, Eat Green, Eco Living, Live Green, Natural Mantra, Organic Living, Sustainable Living | Tags: Beauty Benefits of Olive Oil, Bollywood, Chitrangada Singh, hair, Hollywood, Olive Oil, skin, Sophia Loren | Permalink.